Branding & advertising have a new face today, reaching a far greater audience than say even a couple of years ago. The emergence of social media has swept us off our feet with its rapid and exponential growth and evolution and left us with no choice than jump on to its band wagon to stay on course, and thereby derive the maximum results/output. Thus, it isn’t really surprising when we bump across craft stores on Facebook; its main purpose: generating an interest, awareness about the store, connect more closely with its customers or prospective customers and last but not the least actually sell its products and supplies through the social media network. Take for instance Jo-Ann Fabric Craft Stores: they have created a page to enhance their online presence or footprint and also through the same medium connect with customers and keep them informed on a 24/7 x 365 mode on the various tempting and interesting offers of the brand. As economies around the world grapple to stay afloat, it is imperative for local and small businesses to innovate rigorously and continuously; and with social media like Facebook, they can ensure that they are able to keep in constant communication with their customers and thus maintain brand loyalty and in the process also enhance brand value. Social media helps in leveling out the playing field, where not just big and international businesses stand tall, but smaller or local business can nudge in and make a place for themselves creatively just to stay afloat. Today’s consumer is much more aware and socially conscious. Thus, it becomes all the more important for various businesses to extend themselves as much as possible to their customers and connect with them. Businesses for example like Farmer’s Pal helps Facebook users to find green and sustainable local businesses. 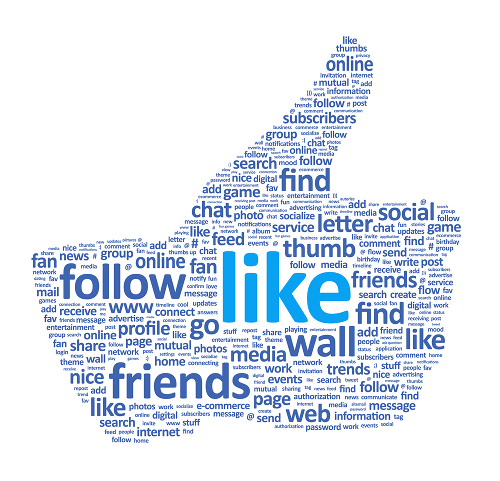 If yours is an offline business or online, you will be benefited by being on Facebook. Millions of people log into personal Facebook account every day. If you minutely follow a huge number of these people include your customers. With the help Facebook, you not only stay visible to your already existing customers but also motivate many people cultivate business with you. This objective can be attained by running a full fledged interesting marketing campaign delivering the interest of your target audiences. You can offer your fans always something unique. Create a section which offers tips on topics relevant to your product or service line. You can also create offers or privileges that are hard to resist. It’s very important to keep a Facebook page interesting and interactive so that the chances of foot print increases day by day. As soon as you open a page for your store on Facebook, you can immediately start transacting online. An application such as Storefront Social may help you build a Facebook shop that would be perfect for your trade. You can use your logo or brand and also banner. With the help of colours related with your brand to adapt to your Facebook store. You can also put content in multiple languages as well as accept transactions in multiple currencies. Running a successful business is mainly about expanding continuously the customer list, while simultaneously keeping your existing customers happy and loyal to the brand. It is extremely crucial and important that your customers and fans always feel appreciated and acknowledged, and therefore in order to achieve this, it is imperative that you regularly monitor and manage your Facebook page and online store efficiently and effectively. Pull out the time, put that extra effort in order to respond to customer complaints, queries and feedback. Remember, your customer would always like to purchase from a brand which they like; thus, in order to become the preferred brand, the brand that your customers and target audiences like, a constant creation of visibility and innovative branding is mandatory.